I have come to many road blocks along my Rheumstoid Arthritis Weight Loss journey. Sometimes you feel like giving up, giving in and accepting defeat. Some of my major road blocks over the past year have been, SAD (seasonal affective disorder), my RA medications not working quite as well as they used to, multiple lung, ear and throat infections, agressive seasonal allergies that resisted all attempts to medicate, Achilles tendinitis, anemia (requiring me to begin iron infusions in a few weeks) and severe gluten intolerance. Meanwhile I have a child who has been diagnosed with ADHD, ODD, anxiety and may have a learning disability. Then in June an active 14 year old student at the school where I work, he died in his sleep from heart failure. Indeed a lot can happen in a year. I have gained a lot of weight back but not all of it (in fact, less than half). The fatigue has been overwhelming and impossible to control. Instead of focusing on myself, my priority has been my daughter. I have had little energy to spare so I decided that she needed me more than I needed the gym. That was the right decision for me and my life at the time. I finally I decided that it was time to get my life back under control. I needed to get back on track and that TODAY was the day. Not tomorrow, not next week, not next month or on the weekend. Today. All we really have is today and if we don't take care of ourselves now, who knows how many tomorrows we will have or if our health (no matter how bad right now) will take a turn for the worse. No more waiting, no more dreaming, just doing. As I drove in to the gym tonight, I drove through a huge cloud of dust and dirt that was nearly blinding as I went through yet another area under construction. It doesn't matter which direction you are heading in right now, there is construction everywhere in this city. If you are heading to work, a friend's, family, a date, the gym and each are in a different direction, you will run in to construction along the way and have to take a detour. I started thinking and realized how similar this is to life. We are often given choices to stop and quit or to take a detour. Sometimes those detours take a lot longer to get to your final destination but you just can't give up. You turn around and take another path even if it means taking a step back for a little while in order to see the way more clearly. My life is not a fairy tale or made up of magic. There is a lot of struggle both physically and mentally. At times I sound and feel very negative but in the end, I find my way. I am back on the path that I have long been searching for and I cannot wait to see what lies ahead. But for now I will continue to live in the moment and take it day by day. P.S. In order to help remain accountable, I am going to track my progress and announce my weight. I will not be ashamed, because I am human and we make mistakes. It's amazing how quickly time passes by sometimes. I knew it had been a couple of weeks since my last blog entry but I didn't realize it had been over a month! It's time to begin picking up the pieces that have been crumbling around me and to share with you why I've been so absent lately. The past month has been very difficult for me in many ways. I've been fighting mild depression due to season changes as well as progressively noticing changes with my disease. Pain, stiffness and fatigue have been ongoing opponents in my battle to take back my life from the hold Rheumatoid Arthritis has had on it. The hardest part of doing this program, fighting a disease and trying to balance family life (while having a child with high needs) is the mental aspect. I let the stress build until it overwhelms every part of me which lately has been causing my hair to fall out in large amounts! Every single day I stuggle to overcome the thoughts that weigh me down. The guilt of walking out the door to bootcamp while my child cries and begs me to stay. The negative feedback I give myself every time I realize there is an exercise that my joints will not cooperate with. The sadness that comes with feeling so fatigued all of the time. This is the biggest problem that I face and it is simply a war against myself. My weight has been fluctuating up and down over the past several weeks while I struggle to stay on track. I lose a couple of pounds and the next week I gain a pound. Slowly I am still losing weight. I have lost around 7 or 8 lbs in the past 7 weeks. No, it is not the amount or rate of loss that I was hoping for but I am still pleased with my results because they are going in the right direction. The past week things have started to look up again. The sun has been shining, I've been taking my vitamins and using my workouts as a way to release some stress. I am now officially in size 20 pants and likely will be buying size 18 in the next week or so. This is a huge change seeing as when I started in June my pants were a size 26! I had to buy a new sweater because my other one was literally two sizes too big but it made for lots of great laughs when I wore it! I occasionally wear make-up now and I actually care about how I look when I leave the house. I am starting to recognize the person looking back at me when I look in the mirror. 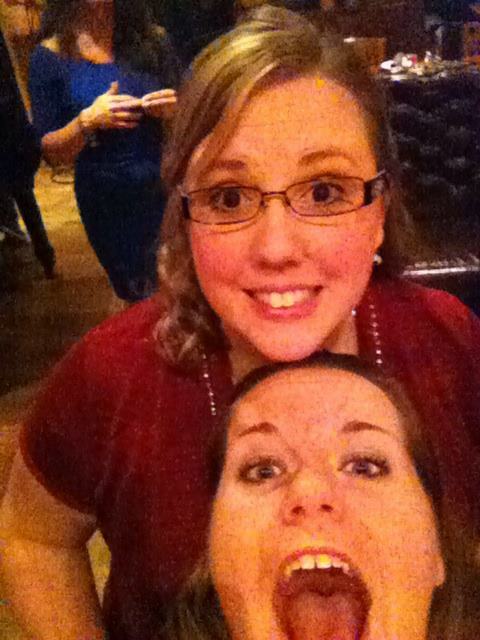 I look forward to going out and I am very much looking forward to Christmas parties this year. For the first time in a long time, when I am in public I do not feel like the largest person in a room. I even look forward to shopping now because I know that I can find things that will fit and that will look good! On Monday evening, we had our group night out. We rode in style in limos from Hollywood Limosine and dined at Fat Tuesdays! It was a fabulous night with great friends, fabulous food and lots of laughter. This night out seemed to kick start my holiday season because from now until Christmas I will be a very busy bee! This is my favorite time of the year and my holiday spirit seems to be lifted and ready for an early start. I cannot wait to decorate my house inside and out for the holidays. I usually wait until December 1st but I think I will do it either this weekend or next. Why wait when it's something so wonderful?! Getting closer to Christmas really seems to be helping me out of this funk I've been in. Yes, it will get harder to stick to the meal plan with all of the holiday parties but getting myself back in the right mindset and futher away from depression, that makes it worth it! 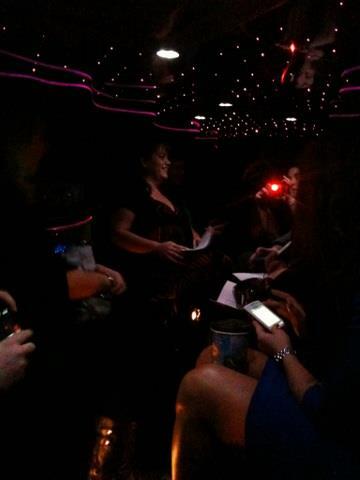 Inside Hollywood Limosine's Hummer limo...aka party-on-wheels! Having a great time...the new me! When I speak of reality, I mean a food plan that you can live with long-term! We will be receiving our new meal plans tomorrow but we were able to discuss some of the fabulous parts that are being added and were not a part of the last Biggest Loser. We have been given permission to have one cheat meal per week. That cheat meal could be one of two things: alcohol (3 glasses of wine, vodka water or light beer) OR eat anything we want for one meal! Seeing as I rarely drink, have hardly ever drank beer (and recently seemed to have a mild allergic reaction to it), and it is not recommended to drink on my medication, I don't think my doctors would be happy with me drinking. So, I went straight out and had my favourite perogie pizza with sour cream for dinner and then chased it with a glass of milk! YUM! Hello gluten, hello dairy, nice to see you again. I only hope they do not bring unwanted visitors with them (meaning they better not make me sick tonight)! It was super yummy and such a great cheat that I feel like I really got cheating out of my system. Also being added to our plan is one dessert per week as long as it's one of Kathy's recipes and I'm completely fine with that because her brownies are delicious (I still have some frozen that have been waiting to be eaten). I also found out that her "Mancakes" or "Protein pancakes" are on the plan and can be eaten every day AND with more maple syrup than before...how can this possibly be legal?! If only everyone knew these tricks and recipes, there would be a lot less people overweight and a lot more happy, skinny people. I will be cooking up massive amounts this weekend to freeze and devour every day until I either turn into a pancake or Kathy tells me to stop, whichever comes first! Now, onto the difficult part of my night. Kathy Smart is our incredible nutritionist whom I cannot say enough nice things about. She is a sweetheart, brilliant nutritionist full of fabulous knowledge, and creates the most amazing recipes. On top of all of that, she is also a trainer. She does not train others often but has trained several of our other trainers at one time or another. For the very first time, she was our fitness trainer tonight. Oh-my-gosh! I feel like I took a trip to hell and they turned up the heat so I could sweat buckets while the devil sat and laughed! Kathy is unstoppable, literally (we were practically begging her to make it end). When you think you are done, nope. It if seemed tough, like you need a rest, that means you are just begining. One of our trainers said she is the only trainer who ever brought him close to throwing up (and HE has brought all of US to that point)! Someone else said they watched her train another group once and when she thought they were doing an intense workout, she discovered it was actually their cool-down! How can someone with a heart of gold be so evil in a workout?? At least she does it with a smile and her positive attitude is infectious which helped it to be a positive experience, no matter how difficult it was (but shhhh, don't tell Kathy I said that)!! I believe I can hear my bed calling me as I write this. I might fall into it like a ton of bricks (or at least 259.8lbs of bricks!) but that just means I won't have to move for a few hours. I know I will be sore tomorrow, but what I'm dreading is the "2nd day after" (which is always the worst) because I have dance class to make it through in one piece on Saturday. Wish me luck! It's a funny thing when you become a blogger. You begin with a purpose whether it be speaking your mind, updating those around with your current thoughts and activities, or maybe even just your opinions on a range of subjects. In my case it was to keep those I loved infomed, bring awareness to people about my dibilitating disease, and to put my progress into writing in order to hold myself accountable. Sometimes, however, magic happens and it turns into more than that. It is still all of that but so much more. My blog entries have now had over 2500 views combined (and no, they are not all from me)! Regulrly I run into friends, coworkers, aquaintances and family members who stop me and tell me to keep up the blog because they are reading it and folloing my journey. Every single time someone tells me that, I am inspired. But mostly, I feel blessed. This weekend, here in Canada, was Thanksgiving. I spent a wonderful day on Saturday eating fabulous food with family. When I say I spent it with family, I mean I spent it with 50 of my closst family members each of whom I love dearly and would be lost without! There were some who could not make it, and their absence was noticed (yes, even in a crowd that big we notice whem someone is missing). I cannot help but feel so incredibly blessed for the amazing people in my life whom I have the privilege to call my family. There are many that live far away that I rarely get to see and I think of each of them often. Even those ones do not hesitate to reach out to me from afar to let me know they are supporting me and this journey that I am on. Because of this wonderful thing we call the internet, we are all able to remain connected even with oceans between us. I just want to take this moment to tell every one of you how much I love you and how thankful I am that you are a part of my life. This weekend was a test for those of us trying to watch what we eat (as it has been my whole life, but usually I don't care if I fail that test)! Luckily and unfortunately my famly has several people who have sentivities to gluten, dairy, nuts, soy and are either vegan or vegetarian. Becase of this, I had so many options to choose from this year at our massive meal (I'm quite sure we could feed an army with the amount of food we always have) that would fit into my new way of life. I think about half (or more) of my meal remained gluten free and vegan. However, with the rest I allowed myself to enjoy a few items that love. I did not overindulge like I usually would have, but I did eat more than what I have been the past few months which left me feeling very full. I felt a bit ill at first but it settled much quicker than years and holidays past. I was very grateful for that because that just makes it more comfortable for sleeping (be honest, sleeping is what we all do after eating turkey)! 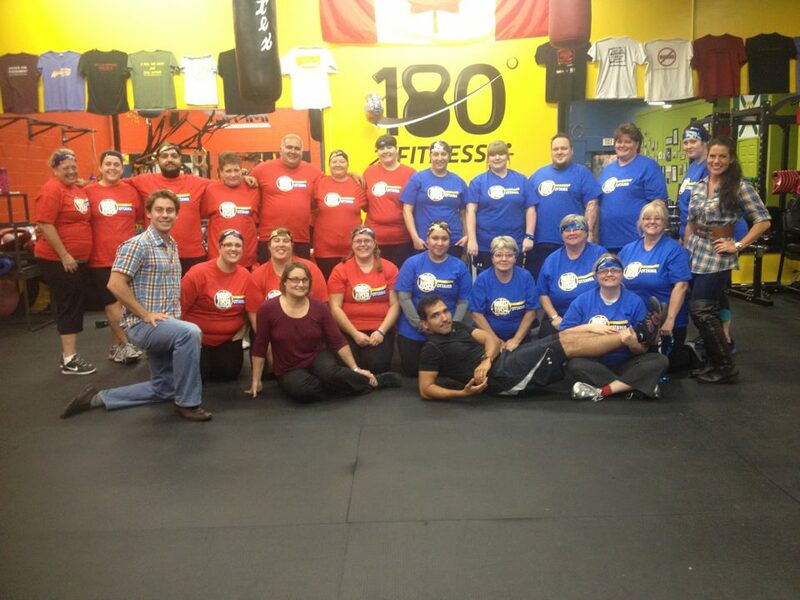 Tonight officially marks the two-week point of Biggest Loser Ottawa 3. That means it was another weigh-in tonight. Being that it was Thanksgiving weekend and we were all given approval for a 1-hour cheat meal, I don't think many of us were expecting fantastic numbers tonight. But let's be honest, I'm NEVER expecting good numbers! Luckily I had a workout yesterday with Pedro and our regular class tonight with Kristy. That helped to burn off some of that meal before stepping on the scale. I am down to 259.8 lbs which means that even with Thanksgiving, I lost 4.4 lbs this week giving me a total of 9.8 lbs in only 2 weeks (3.64%)! For those who want to know what this means in total from where I began in June, I have now lost a grand total of 46.8 lbs (15.26%)!!! With that good news delivered, I bid you goodnight and God bless! Well, we are now officially at the one week mark for Biggest Loser Ottawa 3! I have now suffered through 4 workouts and I am still alive. It has been a difficult week but I have to admit it hasn't been nearly as bad as the first week of the last Biggest Loser. This past Saturday I had my dance class and I was a little afraid seeing as I had so much trouble during the first class. I have a lot of work to do in order to get to the level that the other women are at, but I am just so excited that I at least made it through the WHOLE class this time! We get a great workout but I was able to keep up with the choreography and cannot wait to learn more. It feels amazing to be doing something I love again. I finally feel like I'm starting to really live my life again which gives me such inner peace. Don't worry, that inner peace is disturbed again every Tuesday,Thusday and Sunday when I have Biggest Loser bootcamp! We are doing a two-week liver detox so our diet is a little more restrictive than usual. So far I am enjoying it! The only thing I did not enjoy was choking back 2 cups of steamed broccoli on my first night of the plan. I have never in my life managed to eat that much of any cooked vegetable. Just to clarify, I hate cooked vegetables! This weekend I went over to my parents place where I was able to cook up the recipes for one of the other meal options. No more broccoli for me now, just yummy soup and squash. This weekend I also went out shopping. I had to get a new outfit for my nephew's Christening which was on Sunday (my husband and I are his proud Godparents)! I was so excited to buy 1X for my top and to wear a pair of size 20 pants! So yes, this means I have gone down another pant size. While I was at my parents' place I also went shopping...through my old clothes! It was like winning the jackpot because I came home with about a dozen "new" old tops that I used to wear. I even found some old pants that have hardly been worn. Sure beats spending money to buy stuff that won't fit me in another 3 months! Tonight was our first weigh-in after one week on our new meal plan. I was really hoping for massive numbers like my first week during the last Biggest Loser. Unfortunately that was a little bit unfair to myself to expect that. I've already been doing this for months which is the opposite of the last time where I had been doing nothing for years. I'm very plased wih my results because I lost 5.4 lbs in one week! That is a whole 2% of my starting weight from this new session. I am still waitng for the results to be posted so that I can see where I stand next to the others. Adrian has decided that he will only be posting the top 10 out of the 20 of us so I just pray that I've lost enough to be near the top. I have no idea how the others have done but as of right nowI am proud of my results. So far this journey is turning out to be as awesome as the first and I cannot wait for it to get even better. I can feel that my medication is already beginning to work together with the exercise to reduce my swelling and pain. Because of tha I a leap years ahead of what I was during the last session. My goal was to lose 40lbs this time around (I only managed 38.2 during the last one). I've decided that my goal is now 45lbs, so let's see if I can either hit or surpass my goal,why don't we?! Goodnight, sweet dreams and God bless! Three and a half months ago I started this blog talking about the fact that I had tried to win my spot into Biggest Loser Ottawa 2. I had over 400 votes that time but the winner had over 600 votes. I could not afford the program but miraculously I had an anonymous donor pay for my program. I really hope I made them proud but the most important thing is that I made MYSELF proud! Today I am writing because it is the beginning of a new leg of my journey. Again, as many of you know, I was looking for votes. I cannot afford the program but medically speaking I couldn't afford NOT to do it so I HAD to win my spot into the program. I used every possible outlet I could imagine, contacted every single person I have ever met, all of my networks and support groups I use and encouraged everyone to contact everyone that they knew. I was trailing behind in votes a couple of days ago so I hardly slept over the past few nights. Last night the voting closed and I was informed that I had won with an astounding 1883 votes! The amount of support that everyone has shown me has been humbling, overwhelming and exhilerating. I can finally sleep knowing that my life is about to change in a much bigger way than it already has. I never imagined that my life would be interesting enough or inspiring enough for peope to want to hear about it. This journey has been an amazing way to express myself and inspire others in ways I never thought I could. I now feel like the struggles I have been facing with my rheumatoid arthritis has all been worth it. If I can inspire others to take control and make a difference, as well as bring awareness to a disease that few know anything about, then my suffering has been worth it. Tonight was the first day of Biggest Loser Ottawa 3!!! We had a shorter than usual workout but it was amazing. It felt so good to get back into the gym even though I felt like it was going to kill me! At one point I was sure I was going to be sick but it felt so good to know that I am already so much further ahead than I was when I started three months ago. I actually managed to do a few (as in 3 or 4) regular jumping jacks tonight for the very first time since starting this journey. We had to do 3 laps of the building and I managed to jog about half way around each lap for the very first time too. We did an extremely intense ab wokout that made my body burn, sweat and cramp but I can't wait to do it again to get rid of the stomach that has been in my way for all too long. I cannot wait to see how I will look in 3 months. I lost 38.2 lbs the last time so I am determined to hit my goal and lose at least 40 more pounds this time! Tonight we had a lot of discussion, received information and got to know each other. We had a group before photo taken (see below) and it turned out great. We had to do our starting measurements, individual before photos and initial weigh-ins. I don't remember what my inches were at my final weigh-in, but I can tell you that my weigh-in tonight made me very pleased. My starting weight tonight is only 1.4 lbs heavier than my final weigh-in three weeks ago. I currently weigh 269.8 lbs, three and a half months ago I weighed 306.6 lbs. I have been half on my meal plan for three weeks and due to my infusions and pain, I haven't been working out (except for one workout on Saturday that I will explain in a minute). Not only did my weight almost stay the same, but my final weigh-in was a 8:00am and tonight my wigh-in was 8:00pm. There is a very big difference between what you weigh in the morning and at night! I can tell that we have an amazing group again this time. 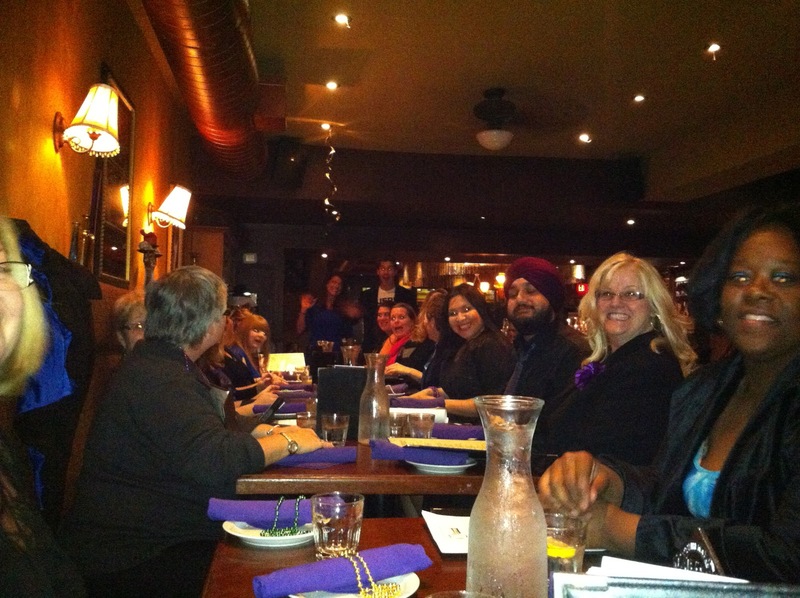 There are 20 all together and about half of us are from Biggest Loser Ottawa 2. The newbies got a very loud welcome today when they discovered how crazy and goofy we can be! I look forward to making so many new friends and spending more time with the ones I made 3 months ago. The bond we create in this group is the kind that lasts. This group feels more like a family than strangers and friends. In other related news, I will explain my workout from this past Saturday. I decided to try an Afro-Caribbean dance class because I've been wanting to dance again and have been wanting to try a class like hat for years. The instructor started the class by explainig my journey with Biggest Loser, my weight loss and letting everyone know that she would be emailing them with a link to vote for me. It was such a nice welcome! I really wasn't sure if my body was ready to cooperate or if I would be in too much pain. Within minutes into the class I was feeling overwhelmed. The feelings and thoughts running through my head as I struggled to catch my breath were identical to my very first day of training during Biggest Loser Ottawa 2. I had trouble keeping up and felt like I was letting myself and everyone else down. To top it off I was having some very serious dizzy spells that I did not anticipate and I forgot my inhaler. It was not going very well and I was embrassed. I kept taking breaks to settle my desire to pass out and to breathe calmly. I tried to do it discretely as not to disrupt the class and to avoid drawing more attention to my inadequate performance. Once I felt like I was settled enough, I would go back in and pick up from where I left off. Everyone was very supportive, much like my Biggest Loser goup (one woman at the end told me she could tell I used to dance and encouraged me to continue coming to the class), but I thought I was going to collapse from exhaustion and the desire to disappear! It has been many years since I have done a dance class (about 9) and by the time we were half way through the class I was dying for it to end so I could quit without drawing attention to myself. I would simply walk away and not come back. I had it all planned. When the end of the class came, I made a very solid decision that would be another major change in my life. Because I wanted to quit so badly, I decided that was the exact reason as to why I couldn't. I could NOT let my RA, weight or health issues control this part of my life. Dancing makes me happy and I will not give my happiness away anymore! I walked right out of that class into the hallway where I immediately signed myself up to take the class for the next three and a half months. Today is a new day and this is my new life. I cannot wait to see where it leads me! I already know that I will have a few bumps in the road ahead but I will take them one day at a time until I can conquer them all. The first bump will be tackling the dizziness with an MRI in a couple of weeks. Once I get through that I can begin to find answers to remedy the situation and hopefully bring fabulous results. The past two weeks since completing Biggest Loser Ottawa 2 have been very difficult for me. I have had two infusions and have been battling a big flare with my rheumatoid arthritis. Last week I had difficulty walking, had a day where I couldn't brush my hair and could hardly get out of bed. Because of this, I am more determined than ever to continue on my journey and keep this disease under control. Voting has begun for Biggest Loser Ottawa 3. If I receive the most votes, I can get into the program for free and continue in the program. You can vote one time per email address so please vote with every email address you own. Please also ask everyone you know to vote for me too! It only takes a minute and it would make such a huge difference in my life. You can find the link to the voting site at the bottom of this blog entry. You do not need to live here or even in this country to be able to vote so please do pass it along! In other news, one of the biggest things the RA has taken away from me is my ability to dance. I used to dance up to 15 hours per week and it made me so happy. Two years ago I attempted to join a dance class but the pain was unbearable and I had to drop out after the first class. I am excited to announce that on Saturday I will be attempting to join another dance class. I will be joining an Afro-Caribbean dance class which is something that I have been wanting to try for years. My daughter has just joined their youngest class so I decided that it was time to try dancing again. I am praying that my body will cooperate since I have made so much progress with Biggest Loser. This would give me a chance to do something that I love. This would truly be taking back my life, the old life I thought was lost forever. I'm so excited about this adventure that I have butterflies in my stomach and it's still days away! Another exciting thing is that I went out last night to purchase a new black workout shirt and sports bra to conquer the dance class. That may be more info than you care to know, but all women know how important good exercise gear and support is! I am more excited than one should be over such a small purchase but that is because I purchased both items in a size XL! That is regular sizing, not plus sized!!! That was something I was not expecting at all. I tried on the 2XL first but found that it didn't fit quite right. I decided to give the XL a try and I expected that it would be way too small. I was blown away when it fit. This is just another milestone I have hit and it feels so good. Not too long ago I was wearing 2XL and 3XL. 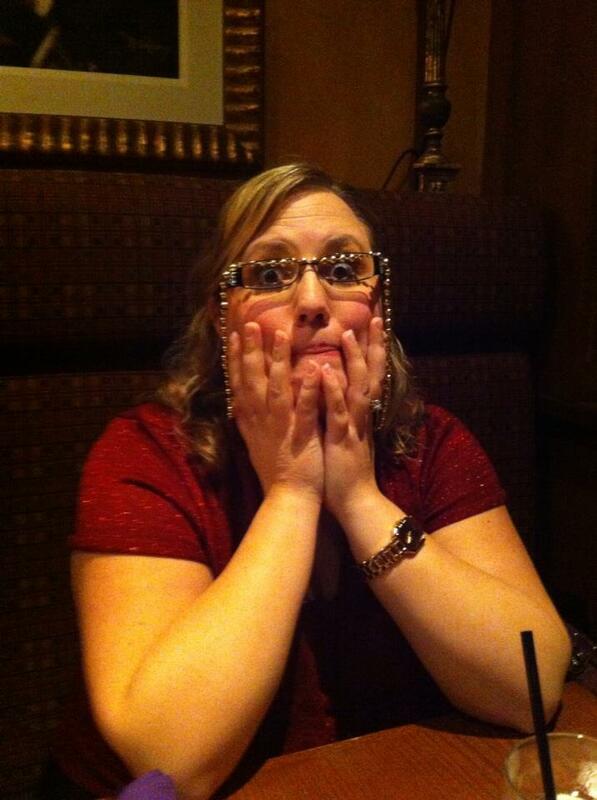 By the time I complete Biggest Loser Ottawa 3, I will no longer be shopping in the plus sized stores for anything. Once that happens, I will never step back into one ever again. This change is here to stay!!! Please take a moment to vote, it would mean the world to me. Just choose "Laura" from the list of names, enter your name and email address, then submit. It's as simple as that! You have all been so kind, supportive and inspiring. I cannot thank you enough for all that you have done for me!